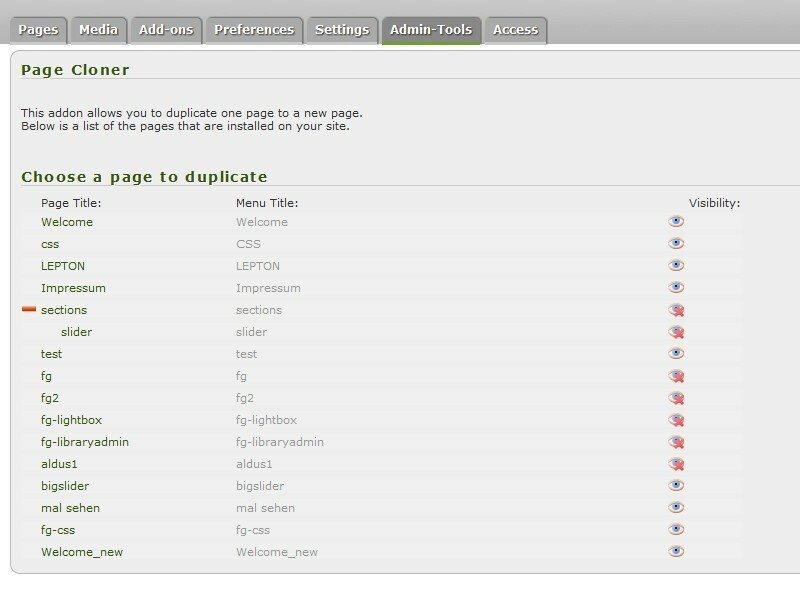 Description This addon allows you to clone a page or a complete tree with all page and sections. Copying of complete datasets from pagesections to their clones is limited to following modules: wywsiwyg, form, mpform, code, code2. Only the sections (with their default) settings are cloned for not supported modules.